Congratulations! Your big day went off without a hitch (well, maybe one or two! ), you’ve signed the marriage certificate, and you’re officially newlyweds. But once you’ve come home from the honeymoon, reality will settle in pretty quickly and you’ll need to get on top of your money. So where do you start? Here are the top five things you should sort out once you’ve put a ring on it. If you got your name changed, it’s time to reflect that on all your official documents. Of course, you’ll want to start with any ID, like your passport and driving licence. After that, it’s time to tackle your money! You’ll need to make the appropriate changes on any accounts - including your bank account, any investment or savings accounts - as well as on any cards, like the credit cards you used for the wedding! Setting up a joint bank account isn’t for every couple, but in general, a joint account means it’s easier to tackle shared finances. For instance, combining your finances can simplify paying off the mortgage on your marital home, or it might help you when planning for the future. It’s a good idea to set some savings goals before deciding whether to open up a joint bank account, so you’re both on the same page. 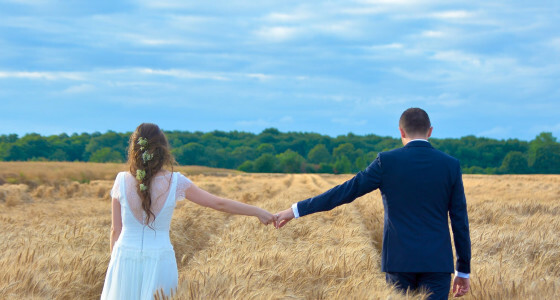 If you decide to open a joint account, be sure to get it sorted as soon as you can after the wedding, as it’ll be an important part of your new financial life! You have a few options when it comes to sorting your pension as a married couple. Apart from your state pensions, one or both of you might also have a personal or workplace pension (or two!) You could consolidate your old pensions into a single new plan or open up a new pension if you don’t have any existing ones. Now is an ideal time to have a chat with your partner about the future. Are you planning on kids? What would your ideal retirement look like? Even stay-at-home parents can save a decent pension, so think about your options and do your research to find a pensions route that works for you. In general, it’s a good idea to have separate pensions as this could really pay off in retirement! Pensions come with an annual tax allowance so you can often save more with separate pots, and then simply share the money when it comes to your blissful retirement. You can find out more about the tax benefits of pensions in our Ultimate Pension Tax & Contribution Guide 17/18. While you’re planning for your future, it’s also time to set up an emergency fund. Emergencies are unavoidable so it’s a good idea to be as prepared as possible for the next one. Check out our guide for putting together an emergency fund (it’s easier than you think!) and make sure that both you and your spouse understand that this fund is only to be accessed in a real emergency. You might also want to make it a joint savings account so that you can both contribute easily. It doesn’t often come naturally to us, but once you’ve got all the most important finances sorted, it’s time to start talking about money. Money is the biggest strain on a marriage but it doesn’t have to be. By communicating clearly with each other about your individual and shared finances, you can be a financial power couple in no time! So, to start, map out existing debt as a couple. You’ll be tackling this debt together from now on, so it’s best to be open about it so you can put together a debt management plan and start paying it all off. It might sound daunting but it’s totally doable! The important thing is to start talking about your money. It shouldn’t be something scary or off-putting. Make money something you check in on every month, as a couple. It’s also a great idea to put together a budget to help with your marital finances in general. You can work out shared income and expenses, and see where to cut down on costs - you probably don’t need two Netflix accounts any more! With a plan and communication, you can get on top of your new finances as a newlywed. Have we missed anything? Let us know in the comments.